Here’s a look at the Columbia River Valley, as it extends eastward from Portland up to Sweetbriar Elementary in Troutdale. 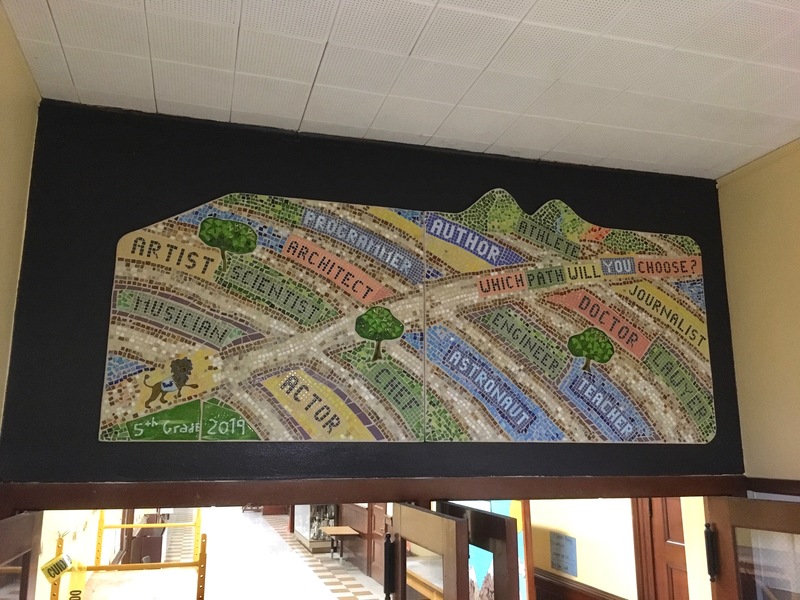 The 4-5th graders of this school worked on this extraordinarily massive school art project, more than 66 sq ft! With fused glass and cut stained-glass, the kids used pattern and color to show this beautiful landscape. Well, this happened at Woodstock Elementary, with the entire 5th grade. They were asked the impatient question: What will you be when you grow up? 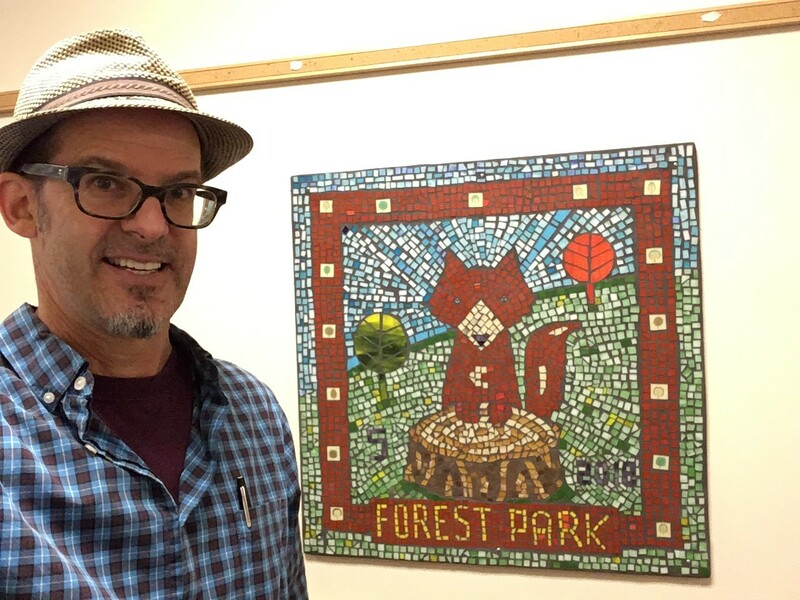 And this collaborative mosaic project is their emphatic answer. They walk under it each day in school. 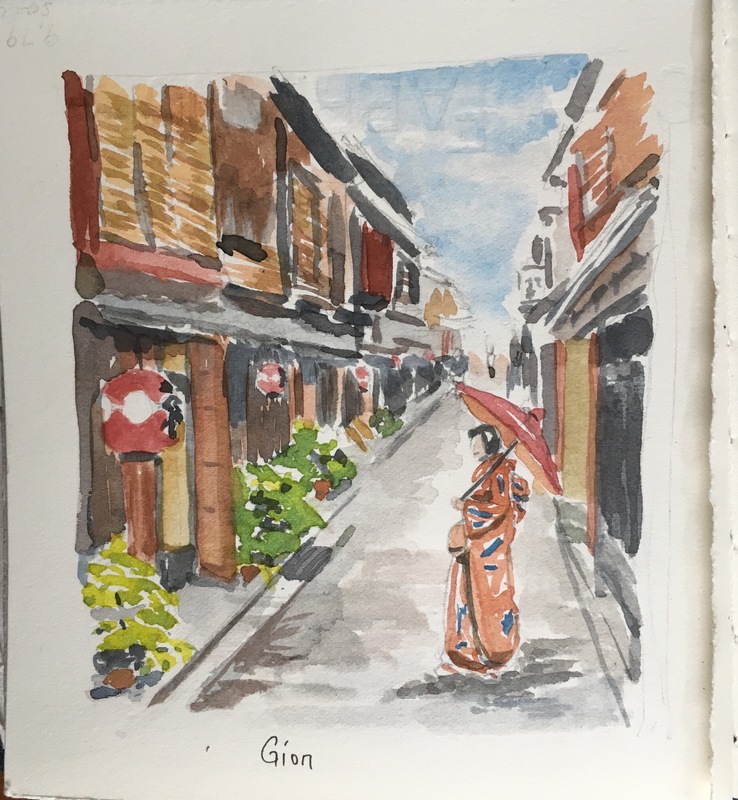 October 2018- Jo and I had a fabulous time seeing Japan for the first time! 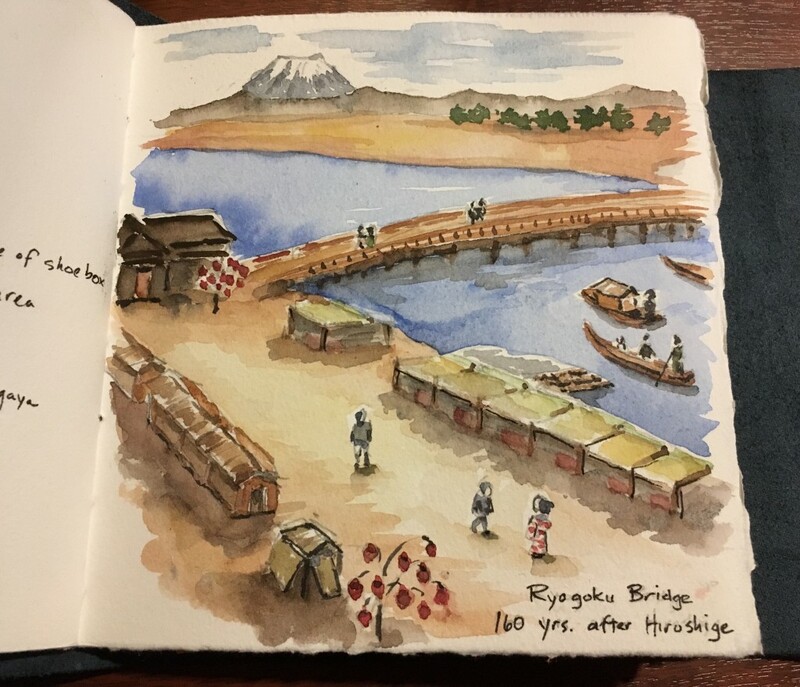 There was so much to see, experience and sketch. 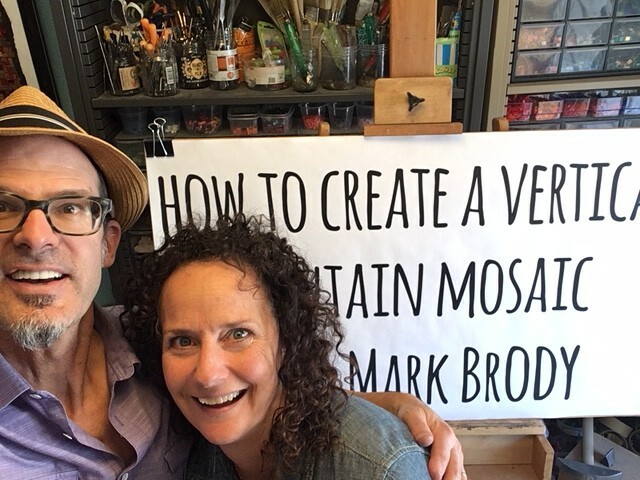 I am pleased to announce the launch of my first online mosaic course on how to make a Fountain Mosaic. Working with MosaicArtsOnline, you can now own the video of a full-length studio class and watch it on your own schedule. See the preview online and add the element of water to your next mosaic! Below: Pause in filming with Tami Macala. Where: Lincoln City Cultural Center, Lincoln City, OR. 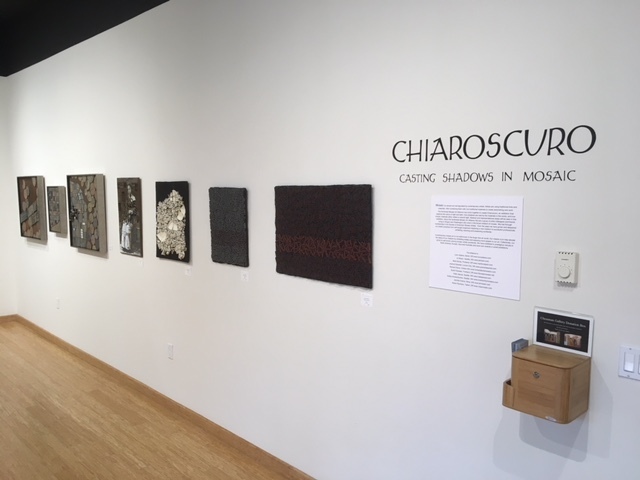 The Northwest Mosaic Artist Alliance is putting on a show featuring the work of 10 of the NW most exciting artists, which includes: Mark Brody, Jennifer Kuhns, Kelley Knickerbocker, Joanne Daschel, Lynn Adamo, Scott Fitzwater, aren Recheck, Kate Jessup, Richard Davis and Jo Braun. Come and see mosaic like you have never imagined! 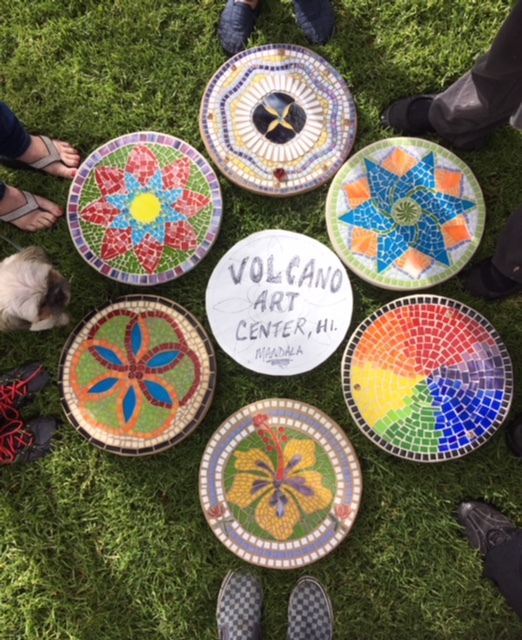 I had the wonderful opportunity to bring my Mandala Mosaic workshops to the big island of Hawaii to teach at two art centers, Volcano and Donkey Mill. 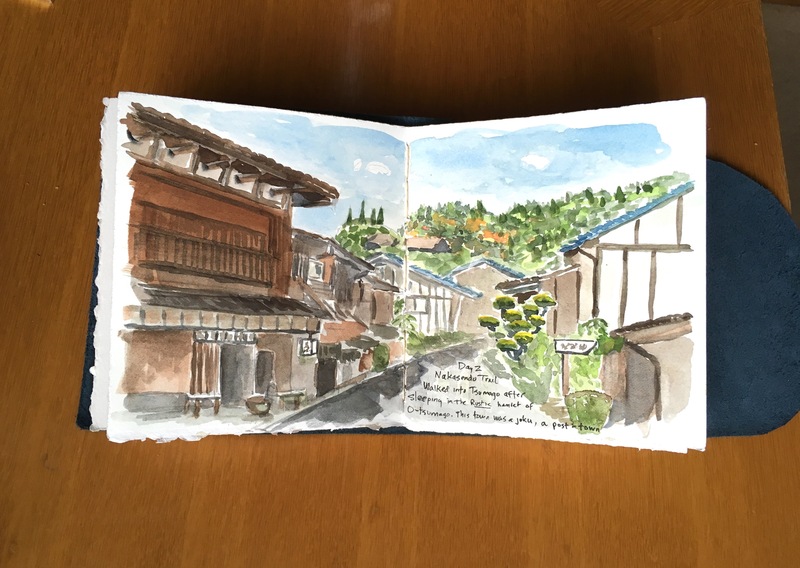 Each location provided its own character and the diversity of students was incredible. 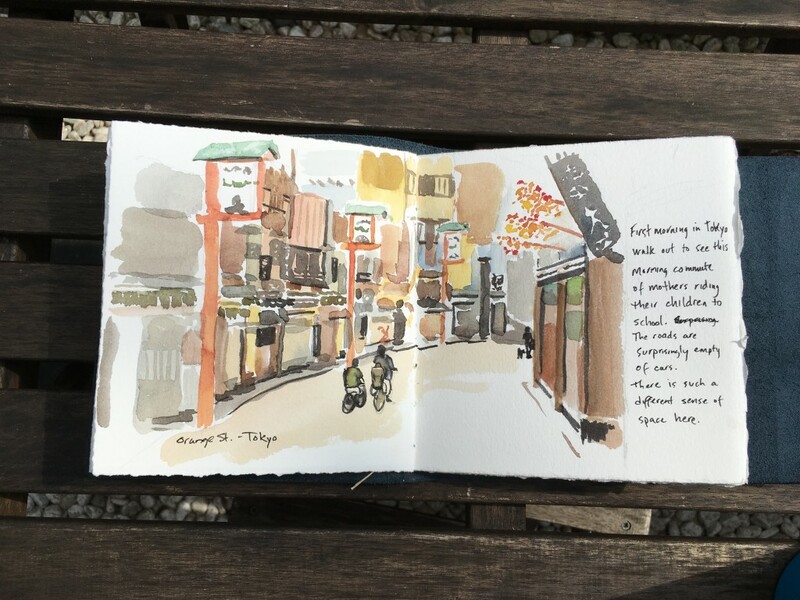 It was a treat I hope to repeat on a yearly basis in early Nov. Check my schedule of Class Listings for more info. 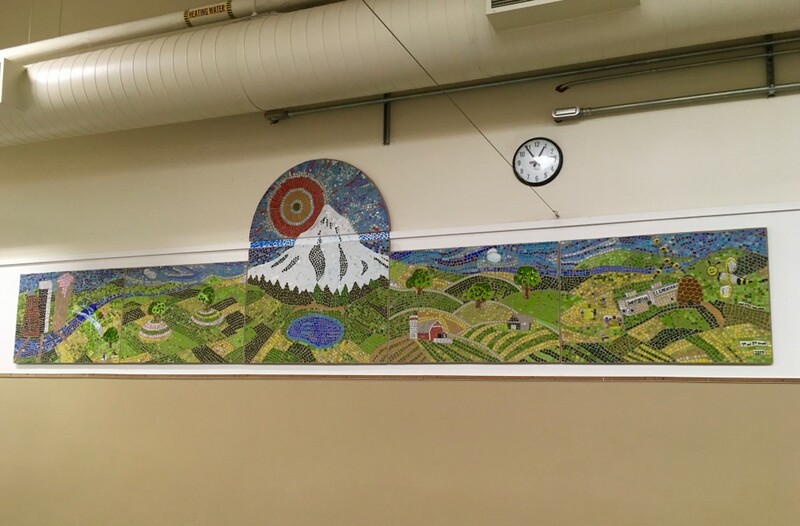 Worked on two mosaic murals for this school. Pictured below is the school Fox mascot which was made with the 4th-5th grade students. Each student did an extremely accurate drawing of this curiously geometric fox, and then we did the mosaic. Previous to this, we made a mural of a giant rainbow that had an arch spanning 25 feet! 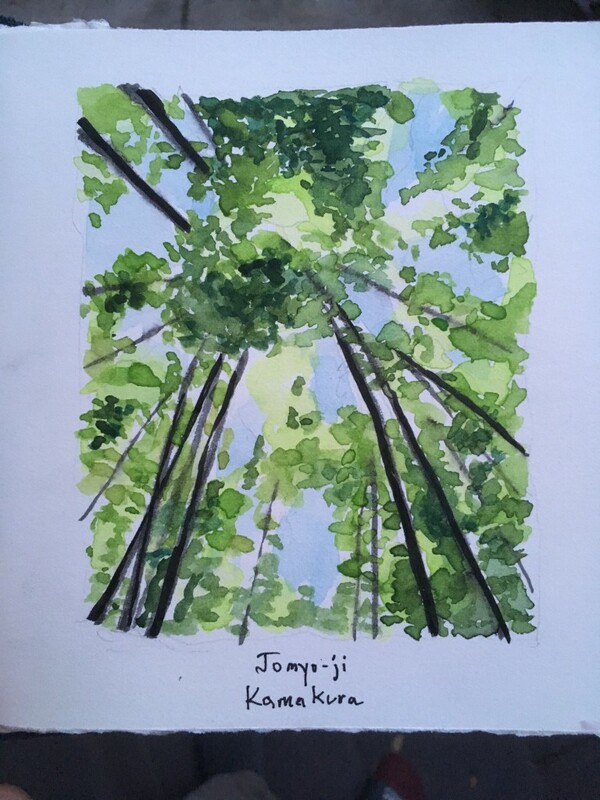 Sato Elementary in Beaverton, OR. 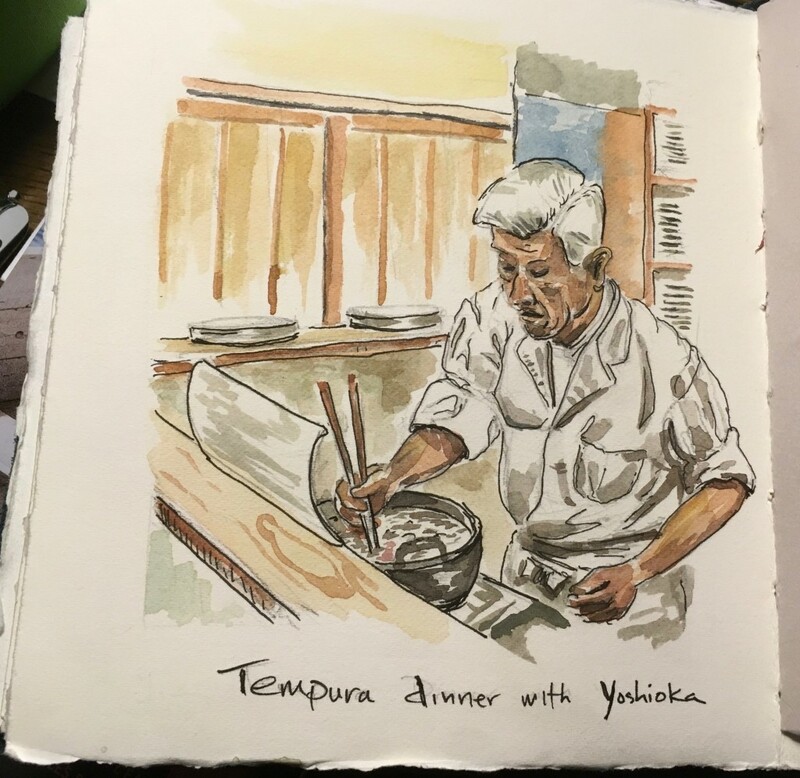 opened for the first day in September, 2017. 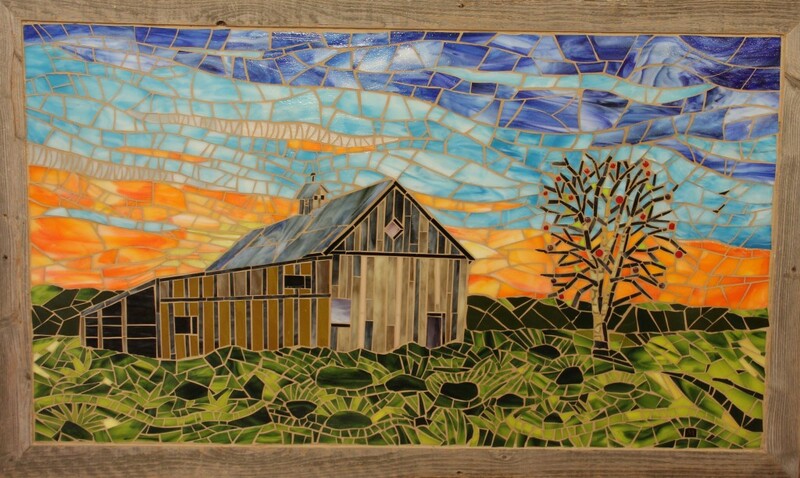 In the front office is a mosaic depicting the barn that originally stood on the property before the school was built. Working from a photograph that was taken on-site, I was trying to capture the warm glow of an early sunrise as it rose above the West Hills of Portland. 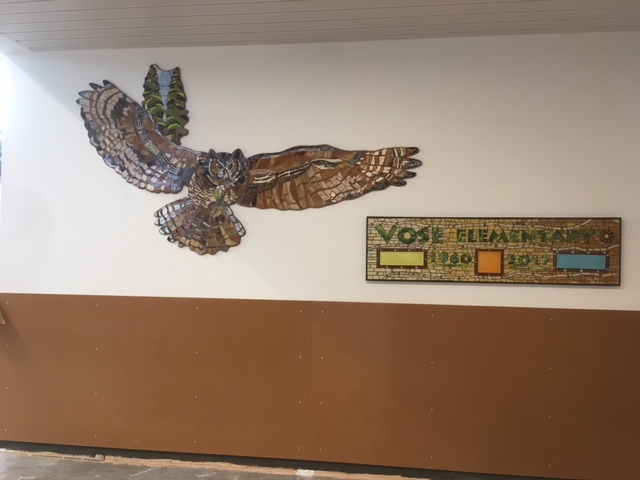 Here is a short-eared owl that is the mascot for the newly renovated Vose Elementary in Beaverton. The span on this owl is 9 feet and it is made up of many pieces of fused glass to capture the detail in the feathers. They needed a bigger school to fit this bird, as well as all the new students; whom have really enjoyed having this mural in their school. This mosaic was one of the most satisfying mosaic projects I have ever done. 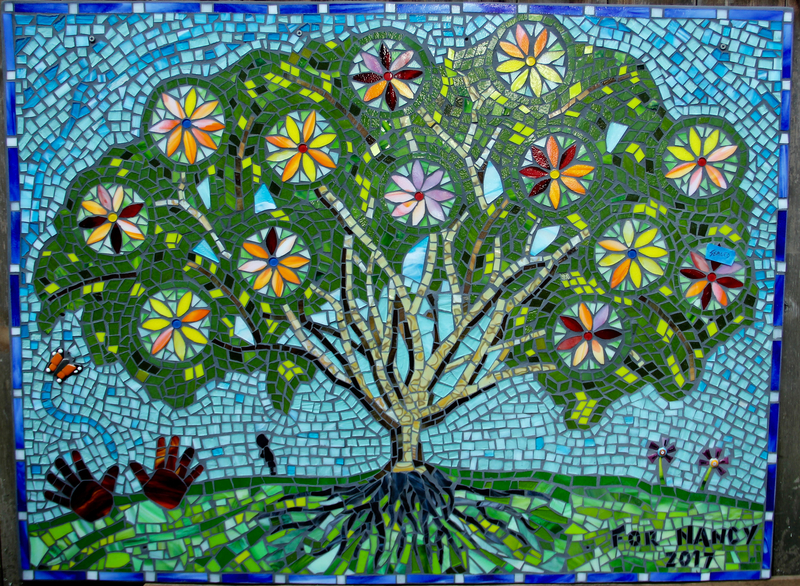 This gorgeous tree was made in honor of Nancy Pribnow, the woman who started this school in Portland over 30 years ago. This blossoms of the tree were done by the Kindergarten kids and the rest of the mural was completed by staff and parents. 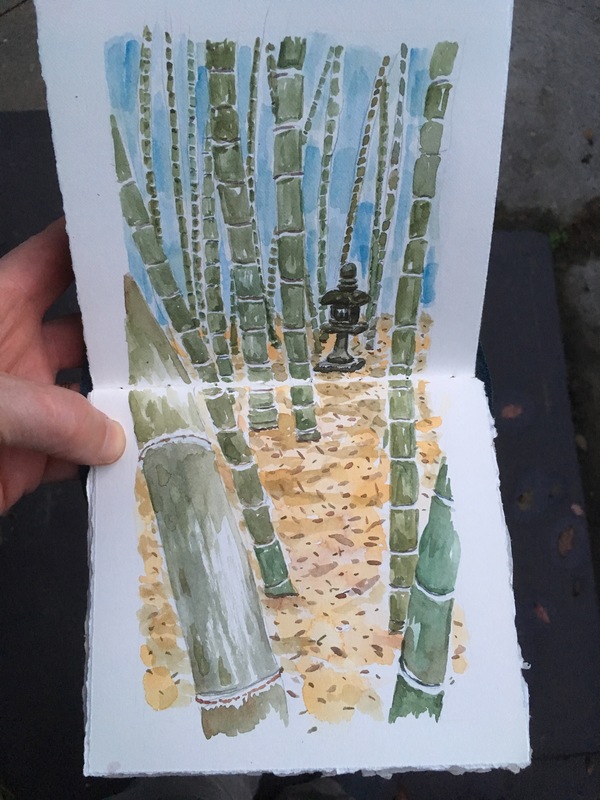 It now resides in the garden in which the children play every day, and was where my two children went when they were younger.